Cake Crafts is a small family ran business based in Gateshead that specialise in the selling everything needed for cake making. 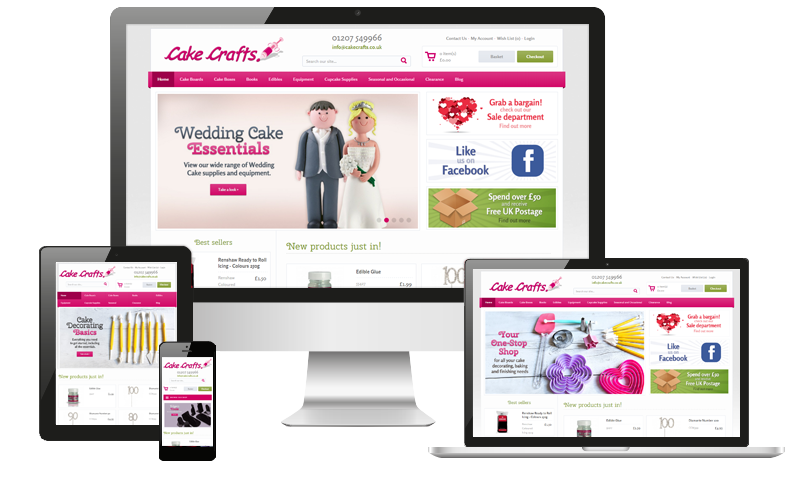 Cake Crafts approached us when they decided it was time to start selling their products online. Their main goal for the site was to create a design that was bright and fun but was still straightforward to use and focused on selling. Using their existing colour scheme and branding we worked along side them to design a website that met their requirements. We created a bold image lead site that would lead visitors to different categories or products within the website. The site was built using OpenCart which is a flexible system that would allow for Cake Crafts to easily add and manage products, create categories and process orders effectively, while making the buying process simple for customers.